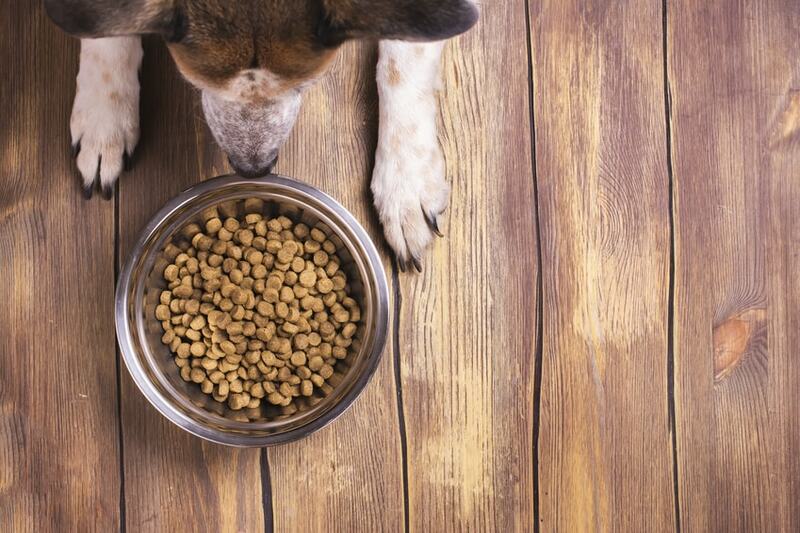 Should You Feed Your Dog Freeze-Dried Food? Dog Food Guide > Dog Food > Should You Feed Your Dog Freeze-Dried Food? We know that all of these different dog food manufacturing processes can get confusing but that’s why we are discussing them. Freeze-drying has not been around very long. Applied to foods, it’s less than 100 years old. Freeze-dried dog foods are a kind of dry dog food. The food starts out frozen with all of the moisture in the food in the form of ice. Then it goes to a freeze dryer with a vacuum at very cold temperatures. At this point the ice in the food is changed to water vapor (this is called “sublimation”) and the frozen food becomes a dry product. After a few hours, the food is ready for the shelf and will not thaw out. It’s ready to be bagged and can be shipped just as it is. This is different from dehydrated dog foods (also a kind of dry dog food). With these foods, which start out raw, the food is dried at low heat for short periods of time to remove the moisture. When you buy the food you just have to rehydrate to plump up the food again and feed it to your dog. So these two methods are completely extreme ways of removing moisture from the food. The end result for the two processes is similar, though many people believe that freeze-dried dog foods keep the food in it’s original state better. Freeze-drying does not alter the cellular make-up of the food, which does happen with dehydration because of the low heat. And, freeze-drying seems to keep more of the food’s original nutrients than dehydration. If you prefer a dry dog food that has more “raw” qualities, then freeze-drying should be your choice since this process changes the original ingredients less than the dehydration process. For many people, the freeze-dried raw diet is a simple version of feeding a raw diet. Freeze-dried dog foods are often made by the same companies that make raw food or frozen raw diets. Nature’s Variety Instinct Raw, for example, has several raw frozen diets in different formats such as bites, small bites, patties, and medallions. They also make foods that contain freeze-dried raw such as Instinct Raw Boost. This is a kibble that includes freeze-dried raw pieces. Stella & Chewy’s makes raw frozen and freeze-dried foods. They have a wide range of freeze-dried dinner patties in different formulas and mixers. Orijen, well-known for their biologically appropriate dog foods, also has freeze-dried foods. Primal makes many kinds of freeze-dried nuggets. Bravo! is another popular brand that makes freeze-dried dinners. As you might guess, freeze-dried foods are expensive but they are very calorie-dense. You don’t have to feed your dog very much of one of these foods for him to consume an entire meal’s worth of calories. People often like freeze-dried foods because they are high in protein. One thing you have to watch, however, is the fat percentage in the food. Many of these foods are very high in fat. This may not agree with some dogs. Even if your dog likes the fat and has no trouble digesting it, it may quickly put extra weight on him, so watch his condition and adjust his meals/diet accordingly. There are lots of good reasons to consider a freeze-dried diet for your dog. You can buy samples from some companies if you want to see how your dog responds to these foods.